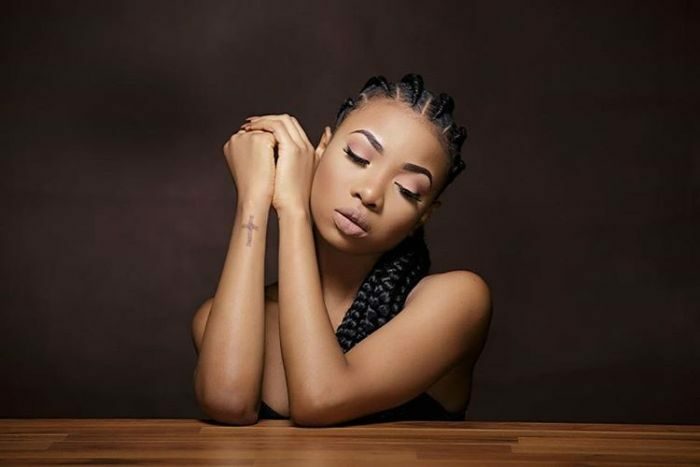 Newly married musician,Mocheddah has criticized veteran rapper,Ruggedman for calling on fellow celebrities to speak up against SARS brutality because their fans may be involved. According to her,it’s wrong to force your beliefs and opinions on others. 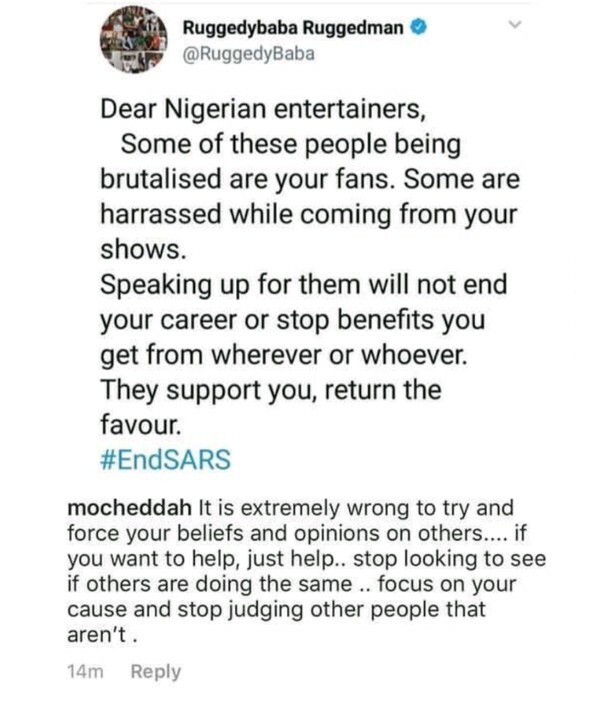 “Dear Nigerian entertainers, Some of these people being brutalised are your fans. Some are harrassed while coming from your shows. Speaking up for them will not end your career or stop benefits you get from wherever or whoever. They support you, return the favour.